An all in one skillet. 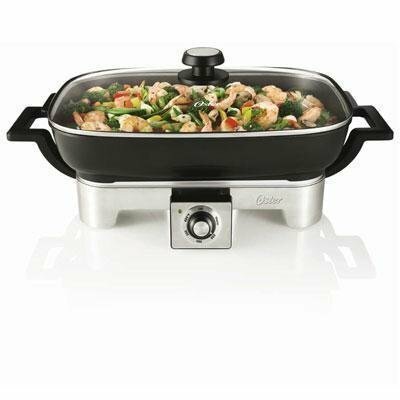 Oven-safe removable pan and lid can be used as a buffet server, perfect for serving and easy to clean. Its extra large 16-inch by 12-inch nonstick cooking surface and stainless steel base is great for cooking your favorite foods.